Growing up in Scranton, Pa., John Patchcoski would often play kickball at the church down the street from his house. One of the priests took an interest in him and would sometimes join the kickball games and give John gifts, like an eight-track tape player. Eventually, Father Michael J. Pulicare invited John to go on a fishing trip. On that trip, he says, the priest sexually assaulted him. It was the mid-1970s, and John was around 12 years old. Mr. Patchcoski is among a number of victims who have come forward following the release of a report by the Pennsylvania attorney general last month to allege they also were abused by Roman Catholic priests. Though the 800-page grand-jury report, which documented the abuse of more than 1,000 children by Catholic priests in the state over more than 50 years, was the most comprehensive look yet at sexual abuse within the U.S. Catholic church, it still isn’t a complete account. Since the report was published, more than 900 calls have poured into a hotline set up to report additional abuse allegations. An official with the attorney general’s office said some of those calls have drawn interest from prosecutors, adding that the grand jury always believed there was more abuse that hadn’t been documented. Pope Francis has expressed “shame and sorrow” about the abuse detailed in the grand-jury report. A lawsuit was filed Monday against all the Catholic dioceses in the state, which plaintiffs hope will be certified as a class-action suit. Mr. Patchcoski’s story stands as just one additional allegation of abuse. Father Pulicare isn’t named in the attorney general’s report or in a list of accused priests released by the Catholic Diocese of Scranton. Church records show that Father Pulicare, who died in 1999, worked at the St. Joseph’s parish in Scranton around the time of the alleged abuse. Mr. Patchcoski didn’t tell anyone about the abuse until more than a decade later, when he told some of his siblings. One of his siblings confirmed this account. But after the attorney general’s report came out, he said, he was motivated to speak publicly. “I don’t want to die without telling this story,” said Mr. Patchcoski, who didn’t use the hotline. The youngest of five children, Mr. Patchcoski grew up in a family that went to church every week and esteemed priests as almost holy. Mr. Patchcoski said his father was a heavy drinker, so when Father Pulicare first took an interest in him, the attention was welcome. 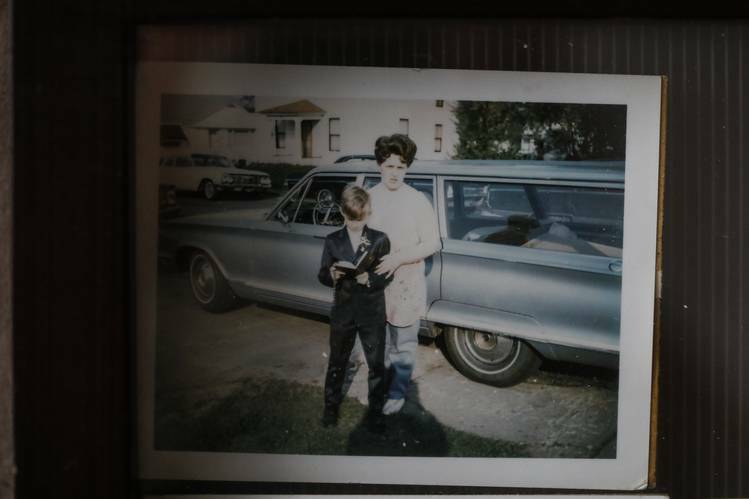 Still, when the priest asked him to go fishing, Mr. Patchcoski’s mother initially said no. “What’s going to happen, mom?” Mr. Patchcoski recalled saying. “He’s a priest.” Ultimately, his mother let him go. That night, he and the priest slept on opposite sides of the same bed. He woke up in the middle on the night to find Father Pulicare holding him down. He said the priest lay on top of him while masturbating, then ejaculated onto John. In the subsequent years, Mr. Patchcoski said, he had a hard time being close to men. He would often “sit in the back and just cry” when his parents forced him to go to church. Before the assault, he had been questioning his sexuality, and he blamed himself for what happened, wondering if he had somehow invited the abuse. Meanwhile, Father Pulicare served at nine different churches in the Scranton area following his ordination in 1971 and at four Catholic high schools, according to his obituary in a local newspaper. Mr. Patchcoski says he saw Father Pulicare only once more after the assault, when he was a high school junior and walked into a religion class the priest was teaching. He demanded to be transferred to another class, he said, but didn’t tell school administrators why. While in college, Mr. Patchcoski stopped going to church and came out as gay. 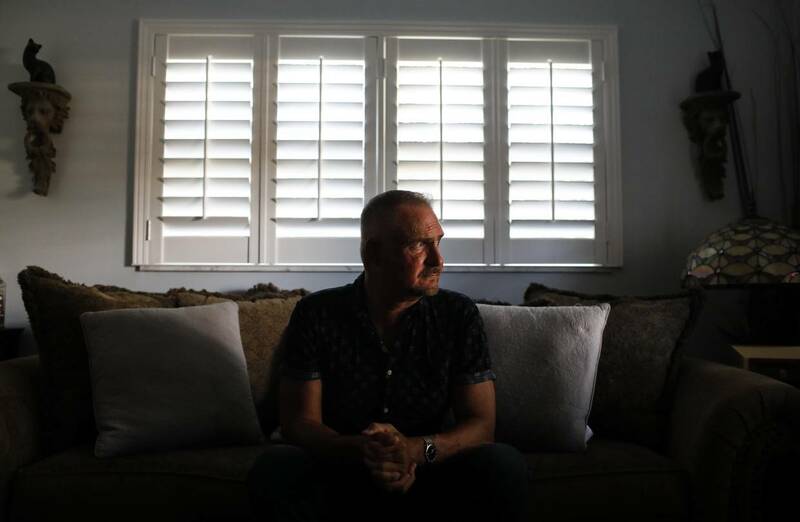 He didn’t tell anyone about what had happened to him, he said, until the late 1980s, when cases of clergy sexual abuse were starting to make the news. He never told his parents, who are now deceased. Mr. Patchcoski now lives in Tampa Bay, Fla., where he is single and hosts a radio show. The rest of his siblings still live in Pennsylvania, and most of them still go to church, he said. Though four decades have passed, one aspect of the assault has continued to eat at him: The comment Father Pulicare’s mother made about the previous kid wetting the bed.